Living where we do high in La Alpujarra we are lucky enough to have a good view of what the weather is doing on the coast. This is particularly handy in the winter when a trip to the beach to catch a bit of sun and warm up our cold bones is very welcome. As the forecast had promised Sunday was a bright and clear day so, armed with a picnic and bucket and spade, we headed to Almuñécar to check out a new beach. The truth about the best Granada beaches is that they are often quite hard to find. It’s almost as if the locals don’t want you to find them. Imagine that! Signage on the N-340 Málaga/Almería coastal road is actually better if you are driving west to east because you are on the right side of the road (literally) for turning off to the coast. If you are driving in the other direction, as we were, then keep your speed down and your eyes peeled for signs and possible turn offs. If you are lucky enough to have the beach that you are looking for sign-posted from the coastal road, the signs may well desert you as soon as you turn off and you may need to then follow your nose to the beach. It is a fact that the hotels are often better signed than the actual playas so a good wheeze is to know the nearest hotel to your destination and look for their signs. We were looking for Cotobro beach which is actually signed from the N-340. See location map at the bottom of the post. If you are coming from the direction of Salobreña/Granada you have to take the cambio sentido* which double backs so that you are headed back in the direction of Granada and then you turn off. From the turn-off the road goes up and round to the left until you get to a point that offers a fantastic view down over Playa San Cristobal, one of Almuñécar’s main beaches. From this point you follow a narrow lane down through a residential area towards the sea front. The best advice I can give is to bear right where you can and this should bring you down to the sea front close to Cotobro beach. You may arrive at the far western end of San Cristobal playa in which case turn right and keep driving west until you get to Cotobro beach where you can park along the promenade free of charge. Another approach that you could take is to turn off the N-340 at the second exit (if you are driving west) for Alumñécar Centro, drive straight down (via Avenida Costa del Sol and turn right down Calle Guadix) to the waterfront and head west along the Almuñécar Paseo Maritimo until you reach Cotobro. However you get there, you won’t be disappointed. When we finally found this little beach, it turned out to be an absolute treasure on a beautiful winters day and worth all the teeth gritting of the last bit of the journey. 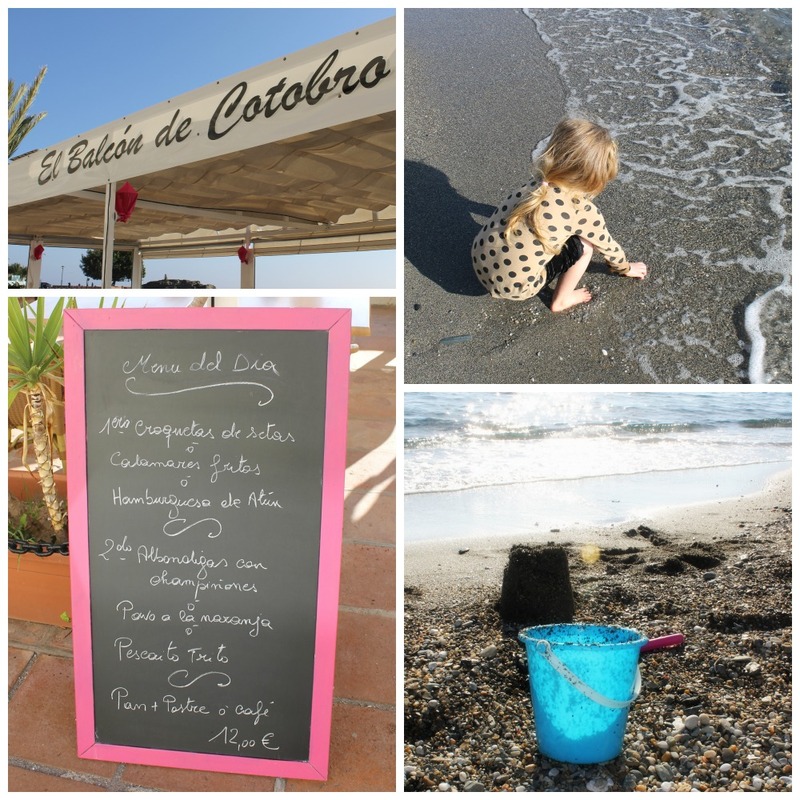 At the eastern end there is a nice little restaurant called El Balcón de Cotobro on a shaded terrace overlooking the beach offering a typical menu del dia for €12 as well as pizzas, pastas and crepes. You will find toilets and showers close by. As you head west, away from the seafront apartments and amenities the beach begins to feel a bit more secluded. If you keep walking to the end you can take a headland pathway to Playa del Muerto a beautiful little bay which feels quite remote and is popular with nudists. We planted ourselves at the far end of Cotobro and enjoyed our picnic in relative peace. The beach is made up of dark sand and shingle and does not really pass the sandcastle test but we gave it a good go. It did, however, pass the paddling test and I imagine that the clear waters are a pleasure to swim when the temperatures soar in the summer. 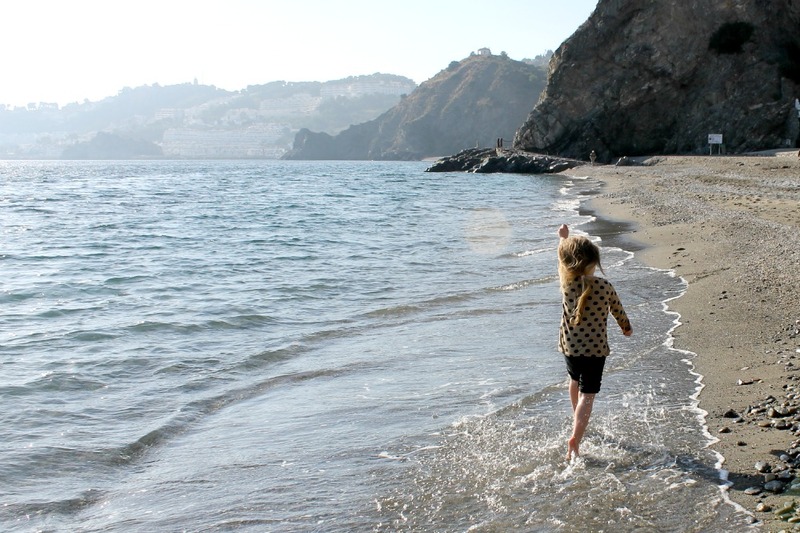 We passed a couple of happy hours on the beach watching the waves and the gulls, until it was time to go in search of ice cream – the only bribe that will entice our little girl off the beach once she dug her feet into the sand – and wend our way back up the mountain. Cotobro is now firmly on our list of places to take visitors in the Spring. Find more information on the best beaches on the Costa Tropical here. 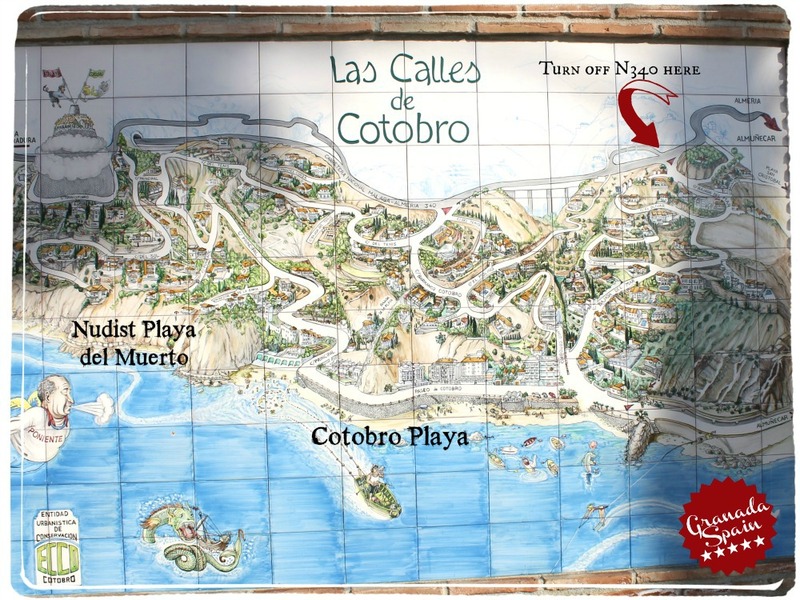 We would love to hear from you if you visit Cotobro Playa and found this post useful. Please use the comments box below to let us know if there is anything that you would add. And do tell us about your favourite beaches on the Costa Tropical.